The United Kingdom, the name alone brings several different thoughts of what life is like in ones mind. But, one in particular becomes the most daunting one; the weather. If you are not used to the weather over there, it can be quite cold, snowy, or rainy. And you would think there would only be small gaps in the seasons to have your fun being an automotive enthusiast. 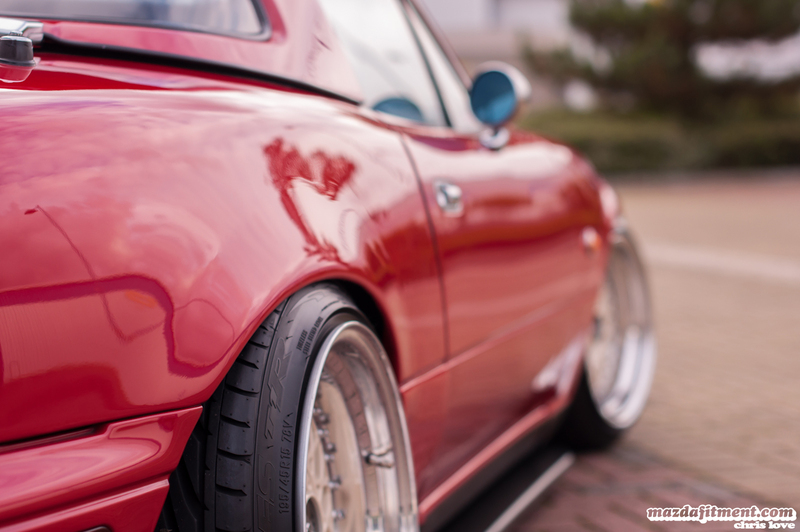 Nevertheless, we are here with this 1994 Classic SU Red Mazda Miata owned by Chris Love from London, United Kingdom. Chris has always been into cars and started out with some shocking first cars. 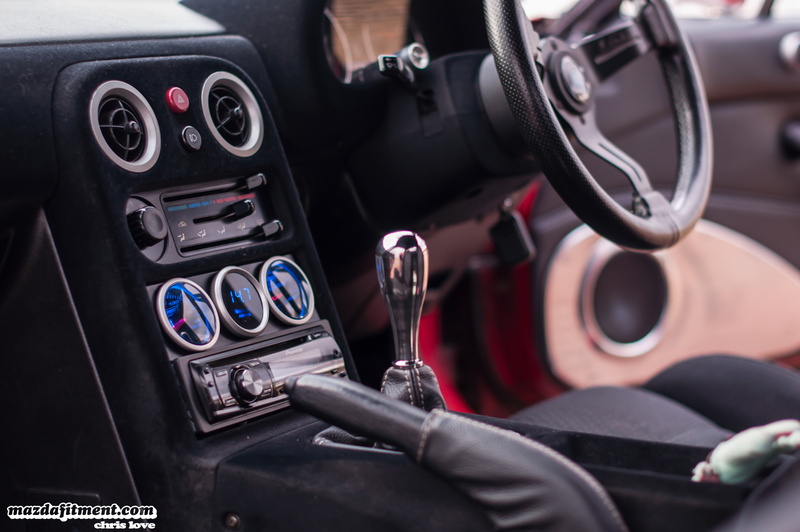 His first “proper” cars were power oriented, which included a Toyota MR2 REV4 with supporting mods up to 300bhp, and then a 2005 Subaru STI Type UK with TD05 18G conversion mapped to 350bhp. These were all good and well, but actually utilizing the power and not getting into trouble was pretty difficult. Chris started getting more and more interested in the show scene, and was drawn into the styling and real design aspect of making/building cars. 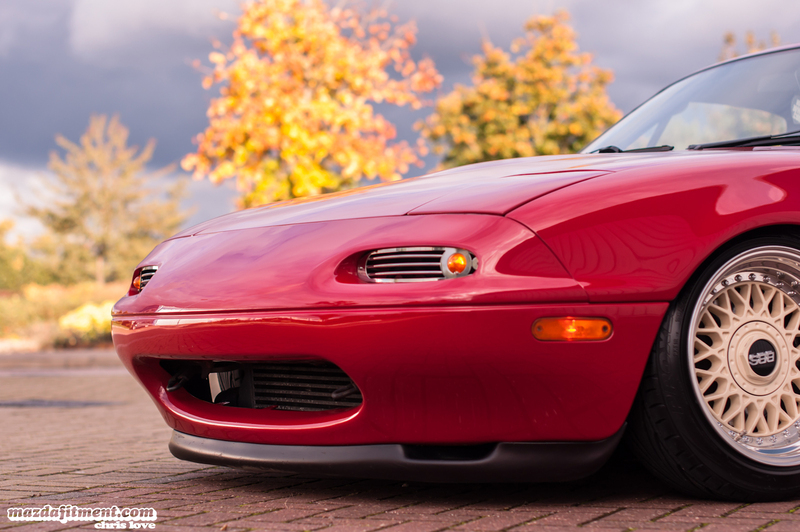 Chris isn’t sure what quite got him into MX5’s (Miatas), but there was something about them. Maybe it is the classic British roadster legacy of cruising the country side or just plain fact they have many ways of being styled. 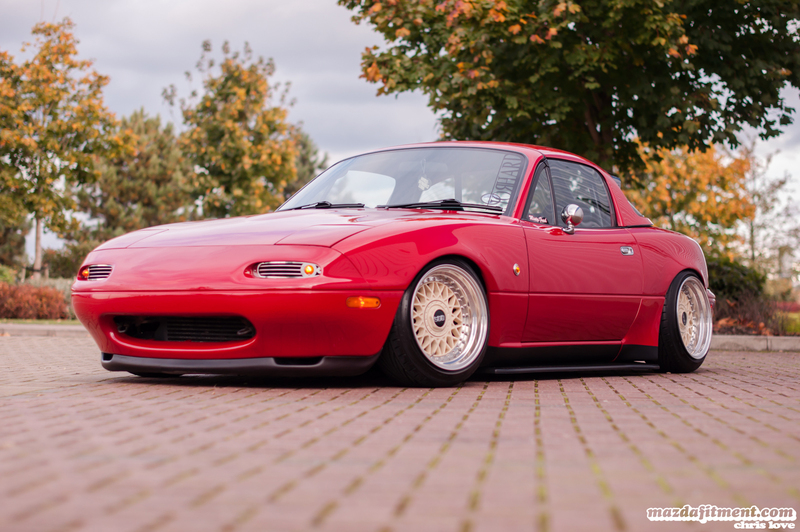 He looked at a lot of cars and ended up being inspired to get his hands on a Miata to mold into his own liking. The car scene in and around Chris’ local area is pretty nonexistent. He would usually have to travel over an hour or more to get to the shows. But, over the past year or so there have been an influx of some big shows. 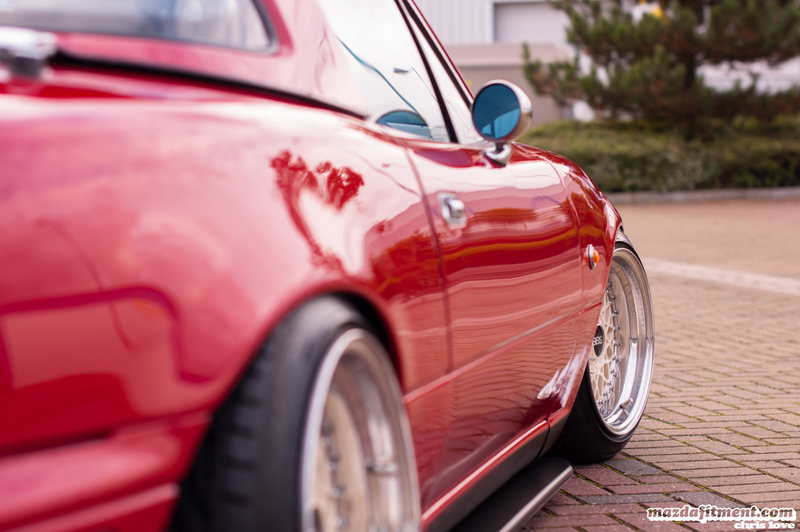 There is Stance Works UK, which is growing rapidly, and The Players, who have been putting on shows every year in the UK and have recently brought the same show over in the United States with some success. 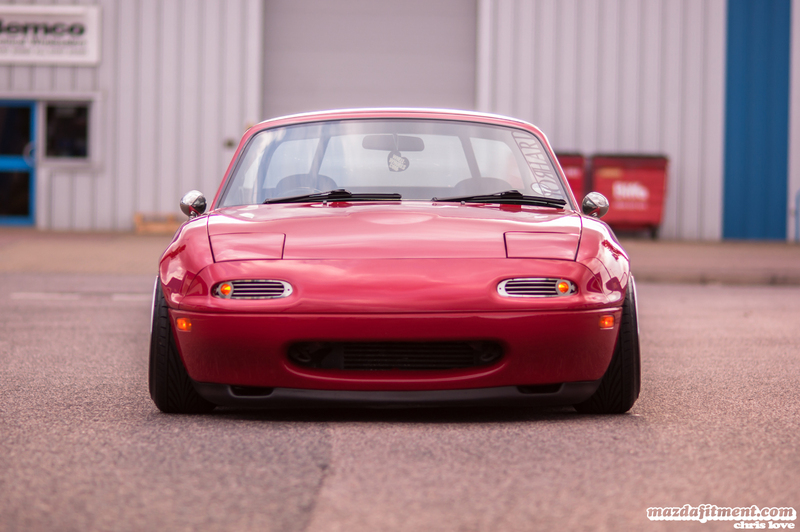 The signature happy Miata front end. 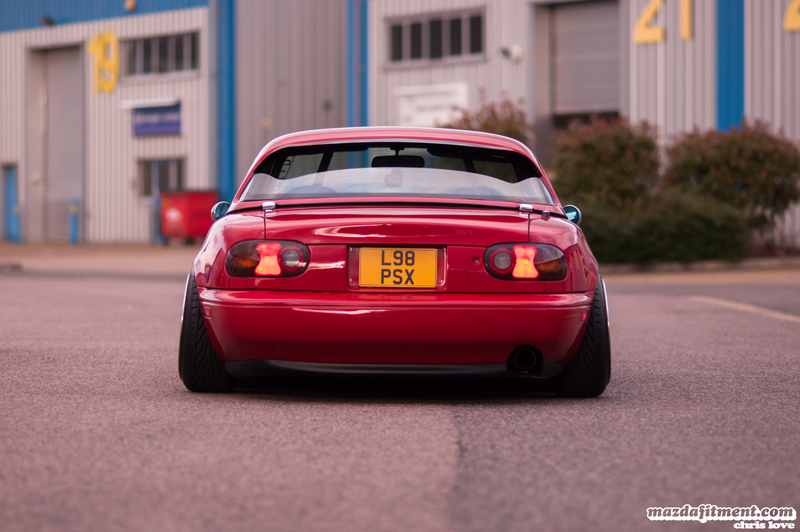 And of course the little rear end shot. 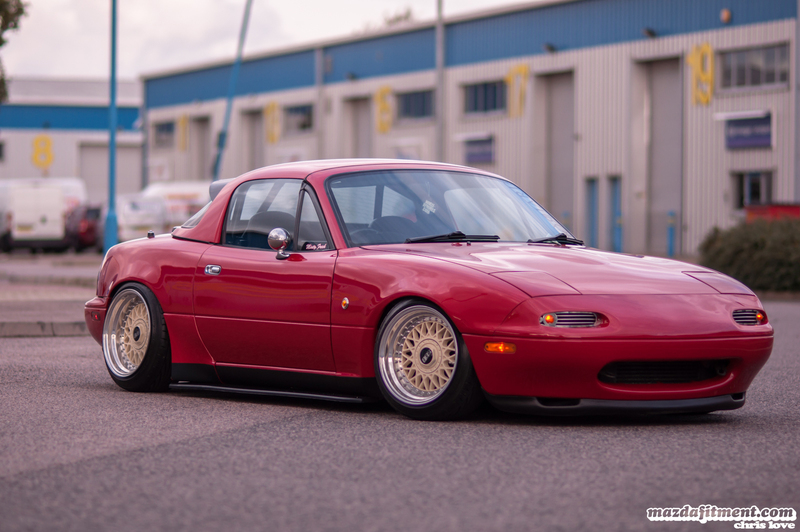 As you can see this little beauty also puts down power with the use of a turbo setup. 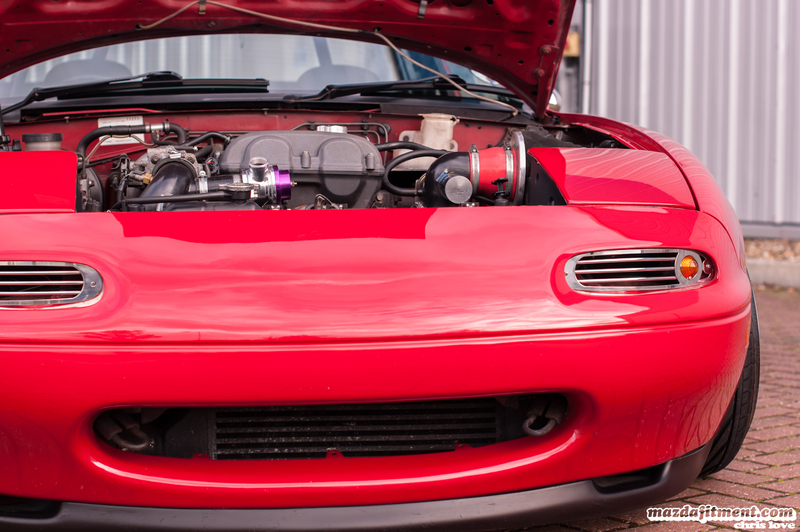 It is currently remapped by Race-Tech at 301bhp and 260torque at 15psi. Definitely fast. Main shout outs go to the awesome guys over at Project-G; Joe and Steve. 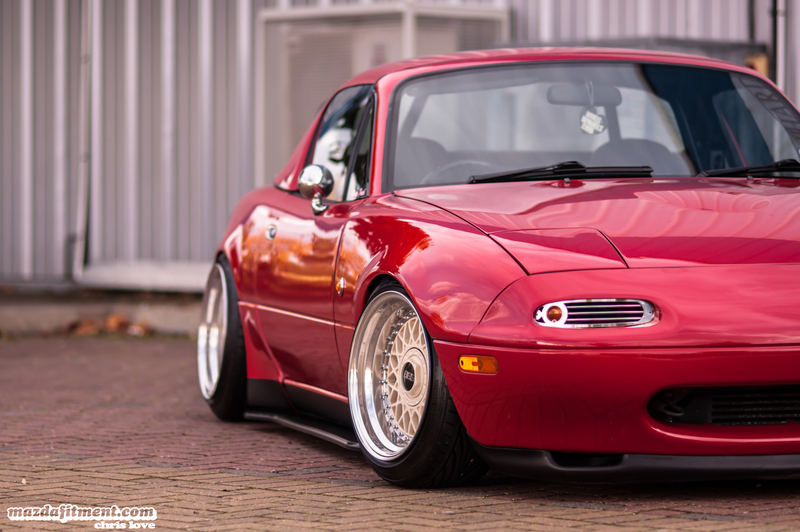 Without them this MX5 would look like nothing you see today. They provided Chris with awesome parts and were not phased by the long distance shipping from the United States to the United Kingdom. Just awesome guys overall. And of course to all the friends in the car scene that have helped Chris out. Those that read this will know who they are. Big shout out to you guys for all the support. Thanks for reading and viewing the pictures. Hope you enjoyed.